Without a focus on inclusion, digital ghettos could be the unintended legacy of smart city projects. Late in 1961, a journalist and city activist published a book about the dramatic changes unfolding in New York City. “This book,” the author Jane Jacobs wrote in the introduction, “is an attack on current city planning and rebuilding. It is also, and mostly, an attempt to introduce new principles of city planning and rebuilding.” Her book, The Death and Life of Great American Cities, would go on to become one the defining texts in the field of urbanism. The book’s premise that city planning is broken because cities weren’t responding to the needs of residents. Large infrastructure projects at the time neglected the needs of small neighborhoods and thus destroyed their character. This thesis remains mostly unchanged today. As such, urbanism should be continuously challenged ideologically because humanity is continuously shifting, growing, and transforming. Such tension within the urban environment creates an evolutionary process whereby practitioners and theorists must continuously think of new ways to construct cities. The urban environment should evolve into a space of inclusion and growth by recognizing how people live in cities. This dynamic is particularly critical today as technological innovation changes the way we live. More people live in cities than at any other point in history. Across the emerging world, rapid urbanization is credited with growing economies but also ecological destruction. At the same time, unprecedented connectivity binds people together on the internet and through social media. Smartphones are indispensable extensions of ourselves and increasingly the vehicle for how we interact with each other, the government, and business. The confluence of rapid urbanization and smartphone growth creates pockets of digital exclusion in cities around the world. As cities work to offer better access to digital platforms in line with smart city goals, some areas are left behind. This type of exclusion is new concerning digital access, but exclusion broadly has always been the scourge of urbanism. Without equitable access to resources, neighborhoods suffer uneven growth and development. Crime and poverty often follow suit. Two contemporary examples of urban exclusion reveal the dramatic effects in action. In the aftermath of World War II, the United States built an extensive network of highways across the country. These roads allowed for development by enabling the efficient transportation of goods. The downside, however, was the highways often ran directly through neighborhoods in the center of cities. City planners thus destroyed the social fabric of many neighborhoods, which were more often than not home to minority populations. Affluent residents moved to the suburbs thanks to the quick city access highways facilitated, leaving the inner city ignored by authorities. Decades of uneven development followed. Something similar took place in Apartheid South Africa. Using the natural features of Cape Town as an urban buffer, the regime engrained a form of social and economic division that the city is still trying to unravel more than two decades after Apartheid ended. Using the iconic Table Mountain as a divider, Apartheid urban planners forced black residents to live on one side of the mountain and white residents on the other. Municipal resources were spent on the white areas and the central business district. Black communities were mostly left to fend for themselves, and to this day many of these areas are impoverished and lawless. These spaces of exclusion remain a critical challenge for the country. From a city planning standpoint, the pivot towards smart cities has transformed the way authorities obtain information about residents and determine how best to allocate resources. For residents, access to cheap and fast internet is critical for participation in the city ecosystem as more services are moved online. Just as highways created spaces of exclusion for minorities, the placement of internet infrastructure can create pockets of digital exclusion. Additional challenges present themselves in emerging market cities. Take India as an example. When Prime Minister Narendra Modi’s BJP party came to power in 2014, it promised to build 100 smart cities across the country to launch India into a new digital future. The problem was how to prepare millions of Indians for smart citizenship. While an increasing number of Indians are using smartphones, there are still huge numbers of people who have not embraced cashless payments and e-governance. Those unwilling or unable to learn about the tenants of digital citizenship are effectively left behind and excluded from the development of their cities and country. Digital identification is a critical part of this problem. If citizens and residents are not able to obtain digital forms of ID for any reason, the could be excluded from city services for everything from disaster response assistance to voting. Digital inclusion is about more than smartphone access. 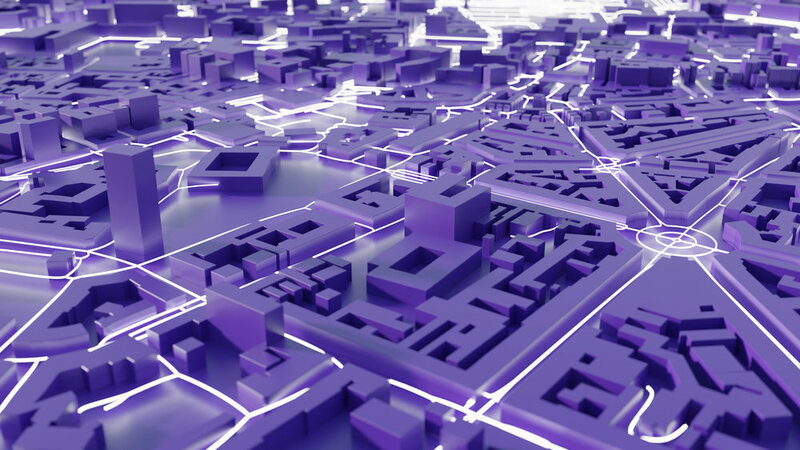 The construction of superfast 5G connectivity infrastructure is another example of how the push towards digital cities is creating pockets of exclusion. Where cities determine to create new internet infrastructure will have an enormous impact on who has access to the means of production in the modern economy. It is unlikely that cities will invest in significant infrastructure resources in low-income areas. As such, the patterns of exclusion that resulted in low-income areas in the first place are only set to continue in the digital city. Some cities are trying to fight these trends. New York City, for example, has been transforming old phone booths into free Wi-Fi hotspots in a bid to bring the internet to more residents. But ingrained patterns are difficult to break, even with the promise of smart cities. Jane Jacobs warned of the destruction of unique neighborhoods and the breakdown of city identity. While we are still at risk of losing vibrant urban neighborhoods in some cities, digital exclusion poses a more significant challenge for residents worldwide. But it is not all doom and gloom. Urban planners can use past experiences to ensure smart cities are constructed from the ground up in an equitable fashion that places access for all at the heart of new initiatives. In addition to educating people about what it means to be a smart citizen in the digital age, ensuring that we don’t repeat past urban blunders in the creation of new smart cities is vital to global growth.